We, Filipinos, have this popular saying, “Hindi na baleng sobra, basta hindi kulang”. Roughly translated as “Nevermind if it’s there’s excess, rather than have shortage”, it seems people have this intrinsic notion that more is always better. But is it really? We Filipinos, as a race, take food seriously. So we automatically cook in excess when at home or order more food when we’re out. Not knowing that 1.36 million Filipino families experience involuntary hunger at least once in every 3 months. A critical issue that WWF-Philippines wants to combat by educating Filipinos with ‘Sustainable Dining’ through its Savour Planet workshop series. 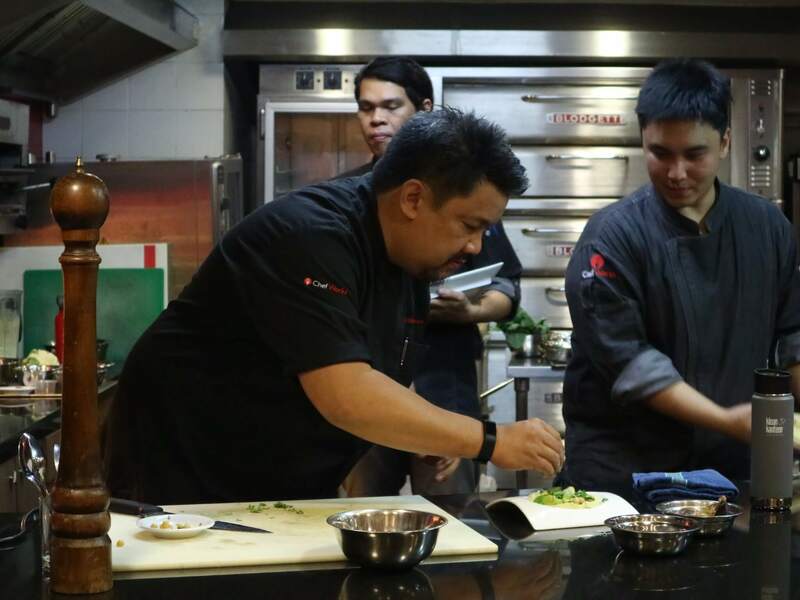 And together with The Cravings Group, Center for Culinary Arts Manila, WhenInManila.com, Chef James Torres, and Chef Robby Goco, World Wide Fund for Nature (WWF) Philippines launched its flagship workshop series for Filipino diners at CCA Manila, Quezon City last 17 March 2018. 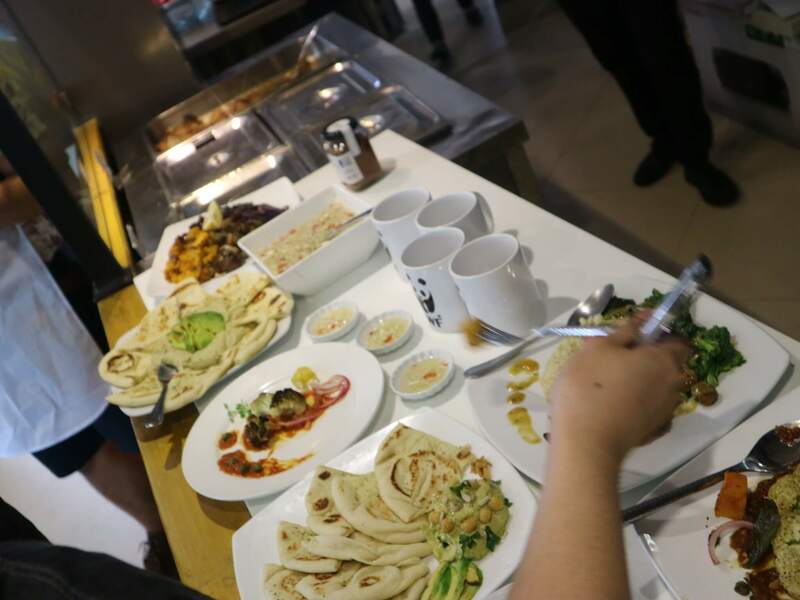 Recognizing that change does not just come from the top, but mostly from the demand being created at the bottom, WWF-Philippines, has launched a workshop series entitled Savour Planet. This begins with its pioneer project on sustainable consumption and production, The Sustainable Diner: A Key Ingredient for Sustainable Tourism. 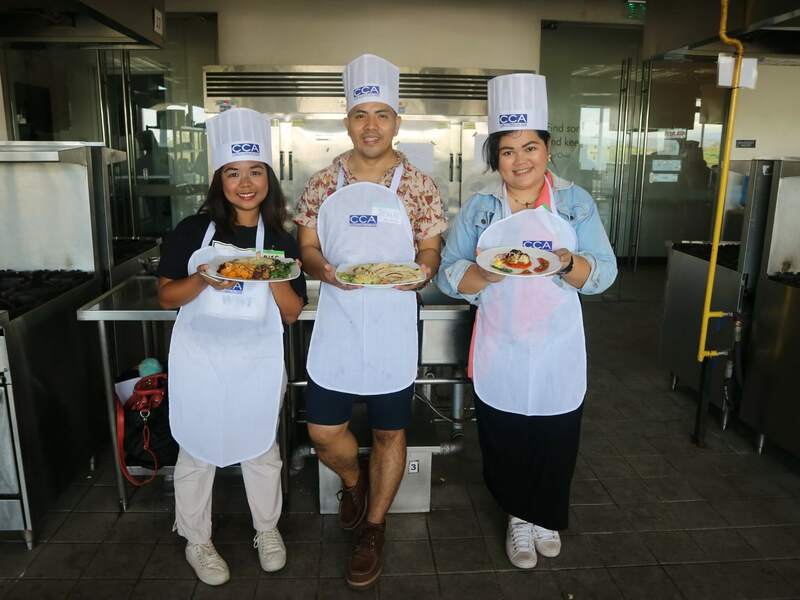 The project aims to empower and educate Filipino diners: partners from the media, the academe; and fellow non-government organizations, on the importance of sustainable food systems and sustainable dining. The series was launched through its first leg, Cooking with a Purpose. Here, we as Filipino diners were invited to participate in a live simulation and an actual cooking of our own food using local ingredients sourced from local markets. This enabled us to link the concept of sustainable dining back to where Filipinos first learn many important lessons about life: our homes. Next, was a talk by Ms. Melody Melo-Rijk, project manager of The Sustainable Diner and sustainable consumption and production in the Philippines). 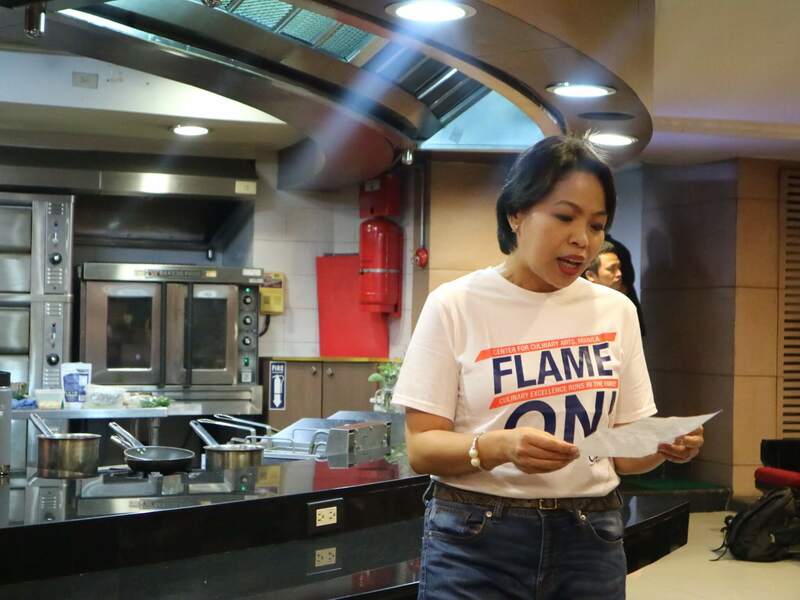 She reiterated the need to change Filipino mindsets when it comes to something as simple as dining in order to deliver more impact that helps ensure food security in the country. According to her, “The main purpose of Savour Planet is to empower Filipino diners and enrich their knowledge on food sustainability”. “We want to somehow tweak the thinking that we have a lot of food. With all these new restaurants popping up in the metro, it is hard not to think that this is the truth. But as our president has mentioned, we are running on a deficit when it comes to our resources. That is why we need to make sustainable dining a lifestyle.”, says Melo-Rijk. Savour Planet is supported by the German Federal Ministry of Environment, Nature Conservation, Building and Nuclear Safety. As an extensive campaign, Savour Planet is doing a multi-sectoral approach. As such, would need the help of the government, restaurants, and us as consumers. And then came the exciting part! A live cooking demonstration by Chef Robby Goco, Executive Chef of Green Pastures and Cyma. 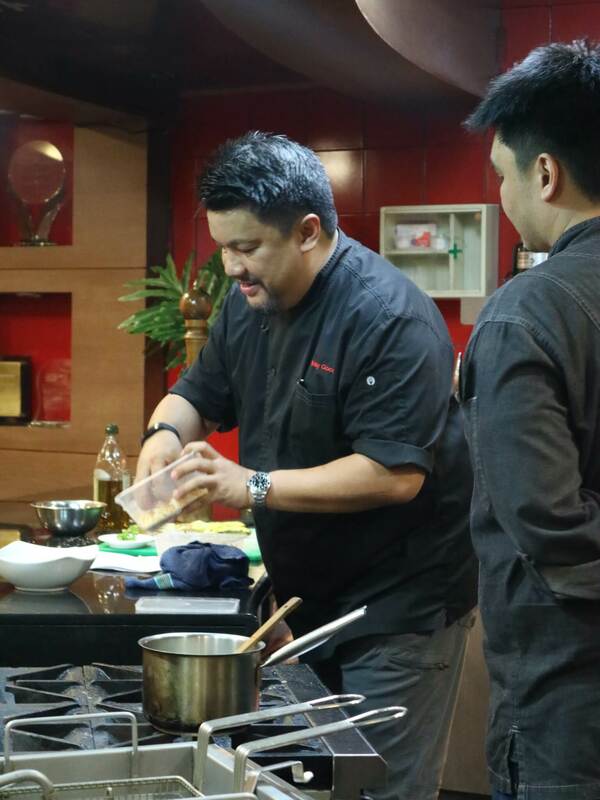 He was assisted by Chefs Marvin Catalan, Miguel Santiago, and Jomar Dela Pena. The demo taught participants how to create four of Chef Robby’s original restaurant-grade recipes – Avocado Hummus, Terra Natura, Roasted Cauliflower, and Chia Pudding – using local ingredients. Watching chefs in action was truly exciting but nothing beats practical experience when it comes to learning new concepts. So that’s why immediately after the live cooking demo, Chef Robby challenged us to our very own cook-off. I was grouped with aspiring Green Chef Jessie De Lara and WWF’s Claire Martinez. 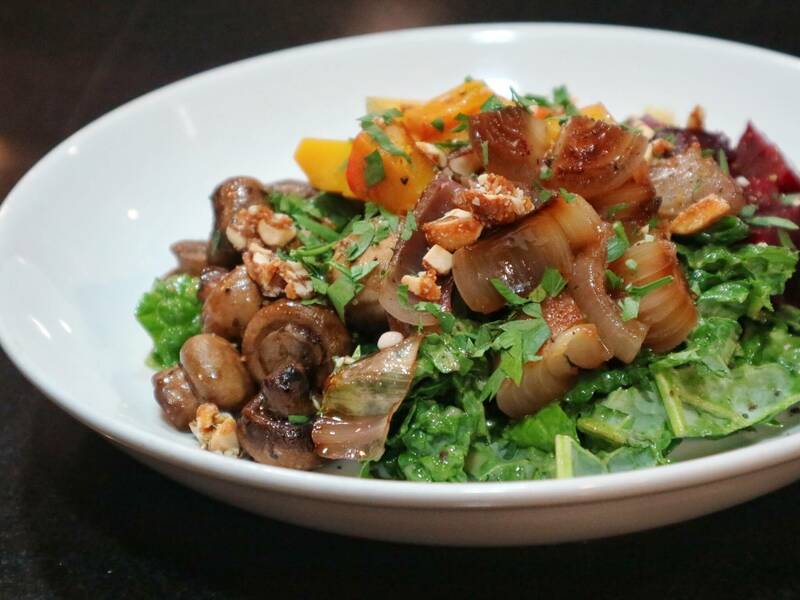 We chose the name “Greating” for our team, short for Green-Eating. Using the actual hot kitchen of CCA, we were assigned our own kitchen stations. Luckily, we got extra help from student chefs from CCA Manila. Testing our listening and cooking skills, we were tasked to replicate three of the dishes using provided local ingredients. Honestly, it was the most intense 2 hours I’ve had for quite sometime now but it sure did pay off! After running around the floor like headless chickens, we finished way ahead of everyone! Fortunately, we bested all other 7 teams as we bagged the ‘SUPERIOR TASTE’ award. Sadly though I was no longer around to receive the award with Jessie and Claire as I had to run for another event. But yey! I’ve also missed out on Chef James Torres’ talk about Green Chefsmanship. There, he emphasized the importance of integrating zero waste principles in cooking. And encouraging everyone to use every part of the ingredients they have to ensure no food wastage. 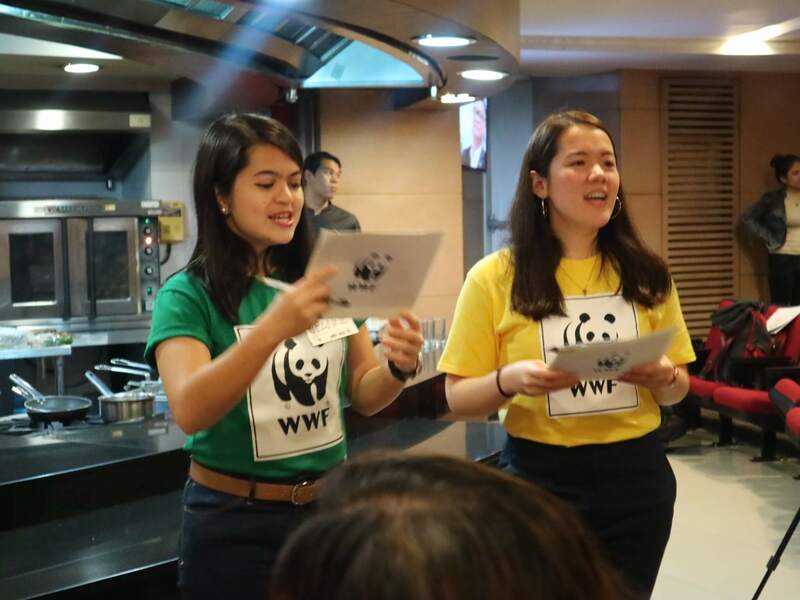 By exposing Filipino diners to the different processes involved in restaurant operations, WWF-Philippines hopes to instill in them the discipline of making eco-friendly choices whenever they eat and dine out. Processes include menu planning and development, cooking using local ingredients, and reducing food waste by encouraging takeaways. The Sustainable Diner project believes that every good habit starts at home. And as such, diners have the power to bring back the value of food. All in all, I really enjoyed my Savour Planet experience. And I believe the learnings I received are all relevant for every consumer and diner to practice and partake on.